Blaisdell was born in Newport, Rhode Island in 1927, and grew up in Quincy, Massachusetts. In his childhood he sketched alien monsters and constructed model airplane kits. After graduation from high school, Paul briefly worked as a typewriter repairman and served a stint in the military. He then attended the New England School of Art and Design in Boston where he met his future wife, Jacqueline "Jackie" Boyle. Paul and Jackie got married in 1952 after finishing college and moved to Topanga Canyon in Los Angeles, California, where he worked for Douglas Aircraft. At Douglas Aircraft Blaisdell worked as a technical illustrator. 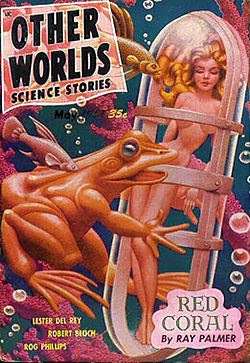 Outside of work, Blaisdell drew artwork and submitted his illustrations to such science fiction publications as "Spaceways" and "Otherworlds." 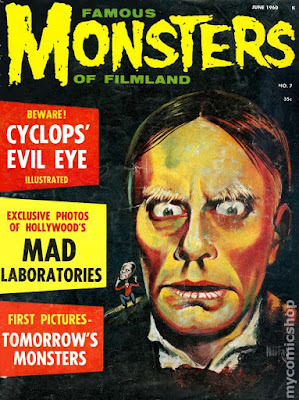 Blaisdell later met with Forrest J Ackerman, legendary magazine publisher, noted literary agent and founding creative director/editor of the magazine, “Famous Monsters of Filmland.” Impressed with Blaisdell’s work, Ackerman became his agent. 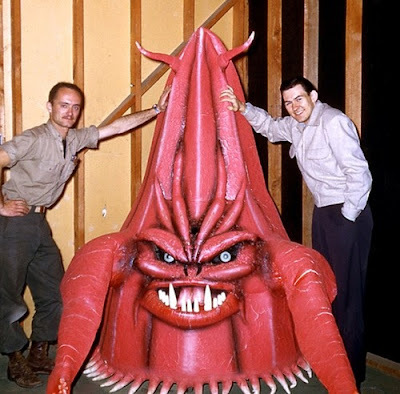 In 1955, Blaisdell was hired to create the creature effects for Roger Corman's low-budget film The Beast with a Million Eyes. Roger Corman had run out of funds right at the point of constructing the alien “eye-creature.” Effects wizard, Ray Harryhausen was put forward as an option but the remaining $200 in Corman’s budget was not going to cover it. 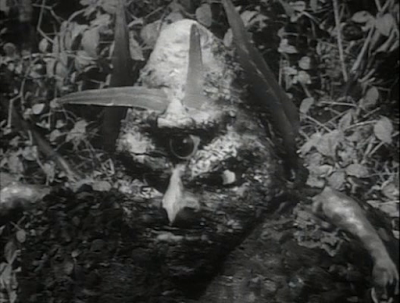 Suddenly, in came Blaisdell who could work monster and special effects magic at a very modest cost. 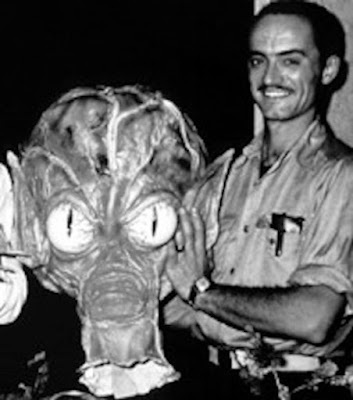 Blaisdell spent several years designing the monsters and handling the special effects for numerous low-budget movies, such as Day the World Ended (1955), It Conquered the World (1956), Not of This Earth (1957), Invasion of the Saucer Men (1957) and The Spider (1958) and was even the actor portraying a particular creature in the film. 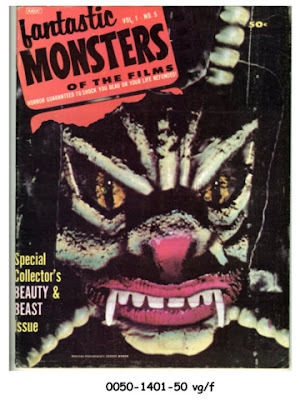 With independent science fiction films no longer being fashionable and Blaisdell becoming disenchanted with the film business he, together with film editor and actor, Bob Burns, formed the company Black Shield, to publish the magazine, “Fantastic Monsters of the Films” which lasted for seven issues during 1962-63. He walked away from the magazine when the plates for the eighth issue were destroyed in a fire at his printers. Blaisdell eventually severed all ties with the movie industry to work as a carpenter. He died of stomach cancer at the age of 55 in Topanga, California in 1983. 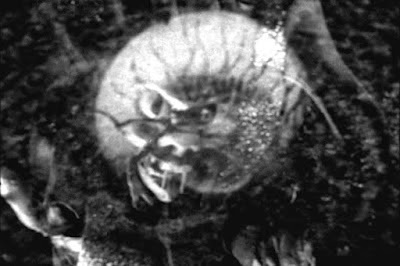 “Little Hercules,” the Beast with a Million Eyes creature: This creature only possessed two eyes but the film’s director, Corman had superimposed eyes over the top. It was an 18-inch foam rubber marionette puppet, designed to be a slave of the actual many-eyed threat and on film it was largely obscured by whirling special effects. Total cost: $400.00 ($200 for materials and $200 for labour). “Marty” the The Day the World Ended creature: This was a hideous, radioactive mutant from the then distant future year of 1970. This was a monster constructed from foam rubber and cast from Blaisdell’s own body so that the suit could be built around himself. However, being only 5’7″, Blaisdell was not exactly the towering mutant that was supposed to be depicted in the film. The shortcoming was made up for by the head adding a bit of much needed height. Another problem arose during the film’s climax when all the rain caused the foam rubber suit to swelled up almost resulting in drowning the suit’s wearer! 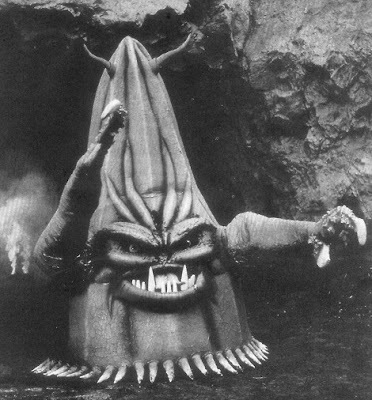 “Beulah” the It Conquered the World creature is one of director Corman’s most memorable alien monsters. Originally Corman only intended to provide fleeting glimpses of the cave-dwelling alien but instead decided to bring it out in full view for all to see in all its glory. It turned out that Corman had found that he was losing light and was unwilling to bring a generator to the shooting location in order to shoot with movie lights. He therefore settled on the cheaper alternative. Blaisdell then set about devising an ingenious bicycle-chain/air pump system to operate the creature’s limbs from the inside. The final result wasn’t what was intended due to an accidental snapping of the cables and Corman’s refusal to allow time for making the necessary repairs. 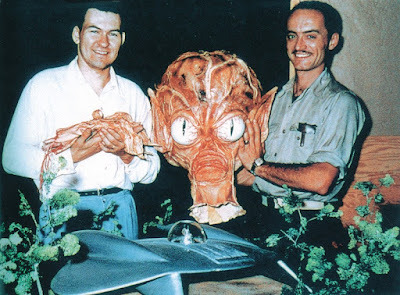 Who can forget the huge bulbous latex and Styrofoam heads of the Saucer Men from Invasion of the Saucer-Men (1957)? These iconic sci-fi creations of Blaisdell’s are even paid tribute to in more modern times in such films as Mars Attacks! (1996). Paul Blaisdell may felt rather bitter and disillusioned, believing that he could have achieved greater results had he been given larger budgets. However, he would have had all the reasons in the world to be proud of his efforts considering that he managed to come up with the most memorable monster creations, despite the most meagre of resources at his disposal. Paul Blaisdell’s legacy will live on through his enduring influence on current and future monster makers.